Welcome to Your Butterfly Effect. I am here to start your butterfly effect so be ready for big and amazing changes in your life and business. This is a safe place where we are talking about all things business, manifestation, and mindset to change your life into your dream life. Subconscious is the most important factor in your life. Whatever is written in there will make or break many aspects of your life. In this episode, I go through many things from how to align to your perfect body, how to get out of negativity, how to live according to your higher self and so much more! 🎙 What I cover this episode; [1:45] – Awareness - I caught myself [3:15] – The secret to your subconscious [4:15] – How your subconscious works [7:20] – How Law of Polarity helps you [10:00] – Why you can't break cycles in your life [11:55] – How to get to the core of the issue [14:00] – When are affirmations helpful? [14:15] – How to make affirmations work for you [15:35] – One word affirmations [16:45] – A different way to get out of negative thoughts [16:40] – Replace old subconscious beliefs [19:40] – How to increase your manifestations skills [22:30] – How is your everyday life making you sick [24:15] – What to consider when taking action [25:00] – How to change your view on dieting [29:45] – How did my higher self shocked me =============================== To download your FREE Quantum Leap Meditation click below https://www.denistunca.com/quantummeditation =============================== My Instagram address – https://www.instagram.com/denistunca/ My Facebook Page https://www.facebook.com/coachdenistunca/ My Amazing Facebook Group – Your Butterfly Effect – The Successful You https://www.facebook.com/groups/youcansuccess2/ If you want to connect with me for questions, further chatting, joining my podcast as a guest expert then feel free to send me a DM on Instagram at @denistunca. Would you want to work with me as a client you are more than welcome to book a free call with me? www.denistunca.com/clarity-call See you next time! A couple of months ago Marie Kondo took the world by storm and helped everyone to declutter their lives and houses. I am explaining how this method can change your energy flow, quality of life and how you can improve your joy in life. 🎙 What I cover this episode; [2:00] - Why I don't have energy to declutter [3:00] - What I shared with my email list [3:15] - Why is clutter bad for you and your manifestation [4:00] - How KonMari method affects people [6:00] - How can we take this to next level [8:55] - What I do to avoid problematic conversation [9:35] - How to KonMari your business =============================== My Instagram address - https://www.instagram.com/denistunca/ My Facebook Page https://www.facebook.com/coachdenistunca/ My Amazing Facebook Group - Your Butterfly Effect - The Successful You https://www.facebook.com/groups/youcansuccess2/ If you want to connect with me for questions, further chatting, joining my podcast as a guest expert then feel free to send me a DM on Instagram at @denistunca. Would you want to work with me as a client you are more than welcome to book a free call with me? www.denistunca.com/clarity-call See you next time! There are two opinions about setting dates or timelines to your manifestation. That you should or shouldn't. But which one is correct? How should you do it? Have a listen and make your own decision. 🎙 What I cover this episode; [2:10] - What you need to be able to manifest your wishes [2:50] - A small reminder and a small difference [5:35] - What to do after setting an intention for your manifestation [7:18] - First step when you set a date to your manifestation [7:31] - If you don't have these, don't set a date [8:17] - Why it won't work for you [8:43] - What to focus on [9:00] - THE KEY TO MANIFESTING, What most of us are missing when manifesting [10:30] - What the pro manifester does ============ Register yourself to my 3-day manifestation Challenge, click the link https://www.denistunca.com/3daychallenge =============================== My Instagram address - https://www.instagram.com/denistunca/ My Facebook Page https://www.facebook.com/coachdenistunca/ My Amazing Facebook Group - Your Butterfly Effect - The Successful You https://www.facebook.com/groups/youcansuccess2/ If you want to connect with me for questions, further chatting, joining my podcast as a guest expert then feel free to send me a DM on Instagram at @denistunca. Would you want to work with me as a client you are more than welcome to book a free call with me? www.denistunca.com/clarity-call See you next time! I am joined by Nicole Cheri Oden to help us with the legal part of our businesses but she shared more than that and gave us her recommendations about many things. 🎙 What I cover this episode; [1:50] - How Nicole started her entrepreneurship [5:50] - Why legal actions are important [7:10] - How should we proceed with the legal side of the business [10:35] - Be cautious with copy paste [12:05] - Where should you start with your legal actions [14:05] - If you plan on using FB Ads listen up [18:30] - Nicole's mission [18:50] - What about social media? [26:00] - Her advice to us as entrepreneurs [27:20] - Last words from me for this episode ============ Nicole is an attorney licensed in the State of California for 7 years. 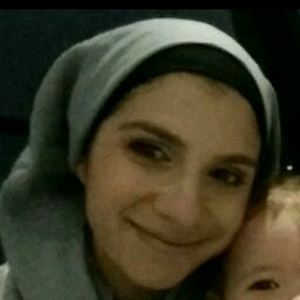 After 4 1/2 years at a big firm, she became a mama. She knew that if she wanted to be present while her daughter grew up, she had to make some big changes. So she started her own firm and spent the next 2 years learning how to actively create a work-life balance while teaching other women to do the same thing. After receiving countless questions from other online entrepreneurs who were just so overwhelmed with legal, she pivoted in her coaching to offer legal templates to take the expense and overwhelm out of the process for them. Because while you don’t have to devote all your time, energy, and money to address legal issues, as an entrepreneur you do have to become familiar with the law. Click for your FREE Guide https://nicolecherioden.com/guide/ @Nicolecherioden on Instagram and Pinterest =============================== My Instagram address - https://www.instagram.com/denistunca/ My Facebook Page https://www.facebook.com/coachdenistunca/ My Amazing Facebook Group - Your Butterfly Effect - The Successful You https://www.facebook.com/groups/youcansuccess2/ If you want to connect with me for questions, further chatting, joining my podcast as a guest expert then feel free to send me a DM on Instagram at @denistunca. Would you want to work with me as a client you are more than welcome to book a free call with me? www.denistunca.com/clarity-call See you next time! In today's episode, I am sharing (with many examples) all about living our lives, business and dreams the way we want it to be which means ACTING AS IF. This is the easiest way to manifestation and at the same time the way to make you happier now! 🎙 What I cover this episode; [2:40] - Why you need to make your New Moon ritual as close to to New Moon time as possible [3:15] - What crystals I had for my New Moon Ritual to set my intentions and why [5:05] - What I did set my intentions about [5:30] -How to write your intentions [6:10] - What acting as if means [6:35] - How to act as if for 'Love' [7:30] - How to act as if for 'Weight loss' [9:00] - How to act as if for 'Travel' [10:20] - My goals as a Mom [10:50] - Goals/Intentions around my business and HOW I wrote about it [12:05] - My special feel good dream [12:55] - Another trick to make your manifestation a reality [14:00] - How to support this technique [15:10] - The conversation I had with my future self (Quantum Leaping) [16:00] - How a small change made me feel rich, abundant and high vibe. ============ To download the Quantum Leap Meditation click https://www.denistunca.com/quantummeditation My Instagram address - https://www.instagram.com/denistunca/ My Facebook Page https://www.facebook.com/coachdenistunca/ My Amazing Facebook Group - Your Butterfly Effect - The Successful You https://www.facebook.com/groups/youcansuccess2/﻿ If you want to connect with me for questions, further chatting, joining my podcast as a guest expert then feel free to send me a DM on Instagram where my handle is @denistunca. Would you want to work with me as a client you are more than welcome to book a free call with me? www.denistunca.com/clarity-call See you next time! In today's episode, we are talking all about picturing our lives, business and dreams the way we want it to be. This is the easiest way to manifestation and at the same time the way to make you happier now! 🎙 What I cover this episode; [1:15] - Why everyone is successful with their manifestations [1:20] - What visualization means [3:00] - How to surpass your limiting beliefs [3:20] -Let's make those dreams of yours come true [5:40] - How my movie looks like [6:25] - How you should be and feel like [9:15] - How you can incorporate it to your day [13:00] - What I want you to do [13:51] - What this is really about [14:50] - Why details are good for you and manifestation [15:30] - What to focus on [18:30] - How to make life easier ============ If you want to connect with me for questions, further chatting, joining my podcast as a guest expert then feel free to send me a DM on Instagram where my handle is @denistunca. If you want to work with me as a client you are more then welcome to book a free call with me. www.denistunca.com/clarity-call See you next time! In today's episode, we are joined by Samoa Blanchet and we are talking all about websites and how she uses her intuition in her business. How she effortlessly draws clients to her and how success is following in her business just because she is using her intuition. If you are interested in learning why website is important, how to hire someone for it, why knowing yourself is the hey to success and how to use it, you are more then welcome to join us in this episode. 🎙 What I cover this episode; [2:50] - How Samoa started her entrepreneur journey [5:20] - How she has differentiated herself from the crowd [3:45] - This is how I deal with energy vampire family members [7:35] -How she is using her gift for success [12:05] - How knowing yourself will affect everything in your life and business [12:20] - Great way to magnetize people to you [18:20] - Why I prefer to work with women mainly [19:45] - How do we know if the person we want to hire for our website is right for us? [20:35] - How Samoa uses her intuition when working with clients [21:50] - The difference between web designers. Who are you hiring? [25:25] - The reason why we have websites. [26:05] - What she recommends new business owners to do. [30:20] - Her point of views about different website providers and who should use which. [32:35] - What her Butterfly Effect is for you. ============ If you want to follow and connect Samoa the links are down below; https://www.inkdbysamoa.com/ Her opt-in; Download a free custom-made landing page. You'll also receive e-mails to make sure you maximize your use of the landing page <3 https://www.inkdbysamoa.com/landing-page-optin ======== If you want to connect with me for questions, further chatting, joining my podcast as a guest expert then feel free to send me a DM on Instagram where my handle is @deinstunca. If you want to work with me as a client you are more then welcome to book a free call with me. www.denistunca.com/clarity-call See you next time! Before I say anything about the episode I want to share with you the awesome transformational training for 2019 that will be held in my FB group between 25-30th December, Your Butterfly Effect - The Successful You. bit.ly/butterflygroup You can register for awesome worksheets and audio recordings via www.denistunca.com/2019 ========== In today's episode, we are talking all about the energy vampires you have in your life and how to deal with the energy drainers and how to balance it out. What I cover this episode; [2:52] - What to do to as action to counter this energy drain [3:25] - How to talk to that energy vampire [3:45] - How I deal with energy vampire family members [4:30] - How I balance out the negativity then and there [4:45] - When the energy vampire is a thing [6:55] - How to extract negative energy from your body [7:20] - What I do additionally [7:35] - Other things you can do to increase your positive energy [7:53] - Why you need to move your body [9:35] - Additional alternatives to protect your energy or increase it. If you want to connect with me for questions, further chatting, joining my podcast as a guest expert then feel free to send me a DM on Instagram where my handle is @deinstunca. If you want to work with me as a client you are more then welcome to book a free call with me. www.denistunca.com/clarity-call/ See you next time! 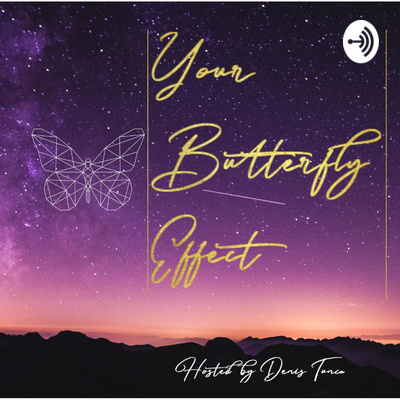 Before I say anything about the episode I want to share with you the awesome transformational training for 2019 that will be held in my FB group between 25-30th December, Your Butterfly Effect - The Successful You. http://bit.ly/butterflygroup You can register for awesome worksheets and audio recordings via https://www.denistunca.com/2019 ========== In today's episode, we are talking all about choosing a word for 2019 that will set the tone for the year and your subconscious. What I cover this episode; [2:12] - Why this affects your subconscious so much [3:50] - What my word was for 2018 [4:50] - When I set the intention of that word [7:14] - What my word for 2019 is [8:35] - Your turn! If you want to connect with me for questions, further chatting, joining my podcast as a guest expert then feel free to send me a DM on Instagram where my handle is @deinstunca. If you want to work with me as a client you are more then welcome to book a free call with me. https://www.denistunca.com/clarity-call/ See you next time!